The following paper details work undertaken with Age UK Herefordshire & Worcestershire to design a service that addresses loneliness, particularly among older people. 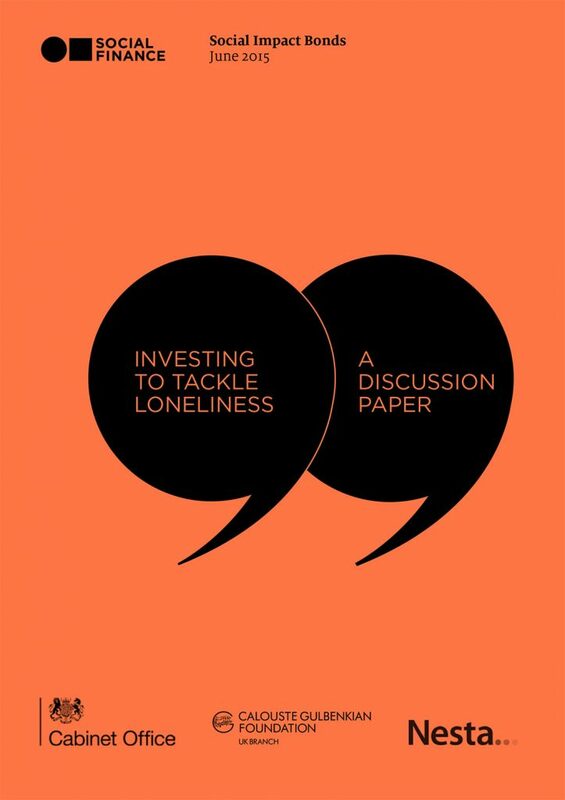 The report introduces potential costs of loneliness to the public sector and sets out initial findings based on available evidence. It describes one model of commissioning services through a Social Impact Bond, which offers value to both commissioners and service providers. The paper was prepared by Social Finance and supported by Calouste Gulbenkian Foundation and the Centre for Social Action Innovation Fund, a partnership between Nesta and the Cabinet Office.